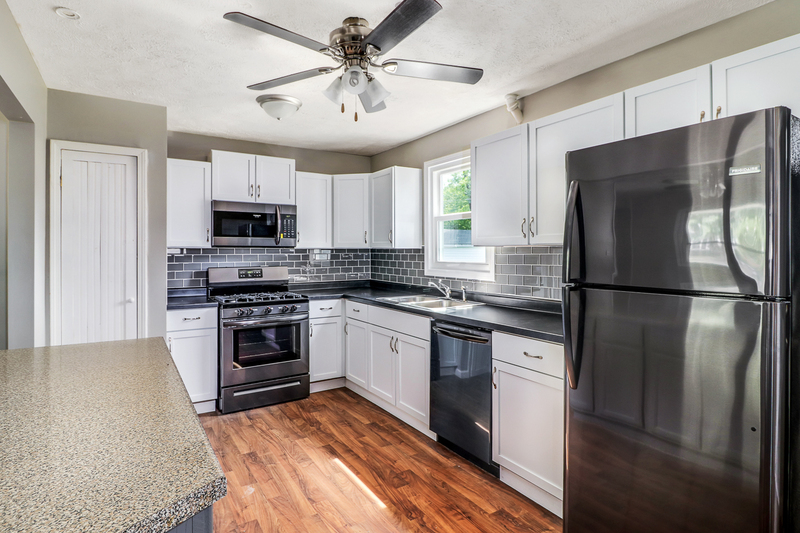 Completely remodeled Ranch in Meadowbrook! Own a practically brand new home at an amazingly affordable price! Newly refinished hardwood, all new paint, some new windows, new bathroom PLUS added half bath in the laundry room. All new kitchen with glass backsplash, new cabinets, new black stainless appliances, and more. Separate dining area outside the kitchen flows into the living room. Three surprisingly sized bedrooms, smallest is 13×10, and a gorgeous full bath are on the other side of the home. One car attached garage, plus additional parking spot next to it. Fenced in backyard. Don’t miss this one!! Agent owned.